(Amazing Natural Phenomena) The 13th-century Italian poet has put the ‘Nature’ in words very well. This ‘art of God’ is nearly endless. Nature keeps mesmerizing us with its beautiful manifestations—commonly called as Natural Phenomena. While some of these are quite normal to us—days and nights, seasons etc. But a lot of these phenomena are very rare and whenever these occur, they leave humans in awe. These just make you think about how large the empire of ‘Mother Nature’ is? Check 7 of these amazing natural phenomena! 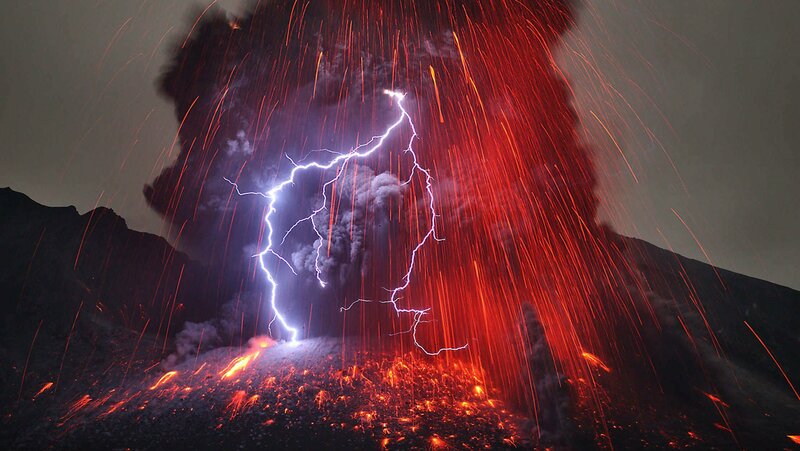 At number 1 in our list of Amazing Natural Phenomena is Volcanic Lightning. It is known by many other names such as ‘Dirty Thunderstorm’, ‘Thunder volcano’ and is a very rare phenomenon. Sometimes when a volcano erupts—a flashing light is produced in the ‘plume’ that gives a breathtaking view. The lighting doesn’t descend from the sky but is produced in the plume itself. It is suggested that these lights are produced due to the interaction of charged particles coming out of the volcano and the particles present in the atmosphere. Around 1960, a gas field in Turkmenistan collapsed into an underground cavern, when drilling was started to exploit the gas. Afterwards, poisonous gases such as methane started leaking, which was a danger to nearby villages and towns. To fight this, scientists ignited the gases in 1971 to burn them—and it is still burning! The picture of the place explains the name! If you like snow, you might like making snowballs. 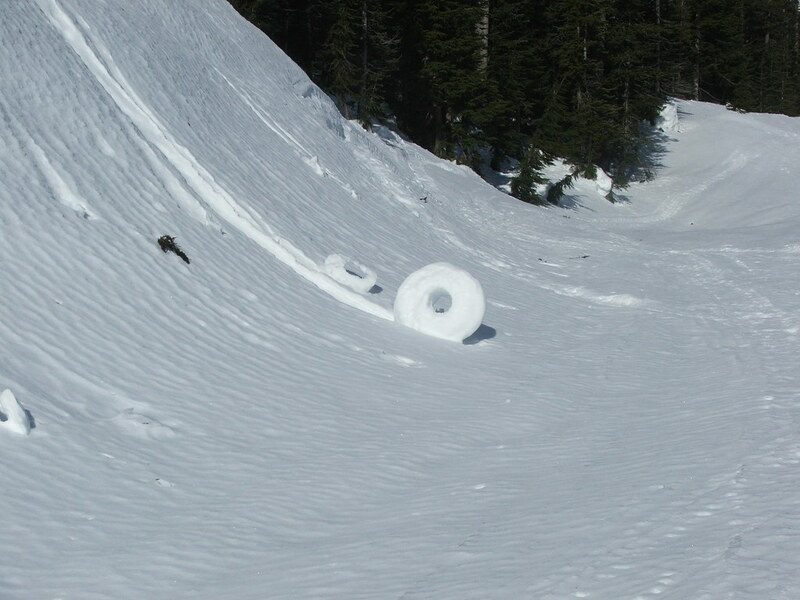 A ‘snow donut’ is just a ‘nature-made’ snowball—but with hollow center—just like a donut. These are quite rare and are formed in very special conditions. Snow is blown by the wind, which picks layers of snow as it moves—the middle part being ‘weaker’ is blown away—giving them ‘donut’ shape. Although generally small in shape some of them can be as big as a car! An artificial lake—Abraham Lake—in Canada is a photographer destination due to its amazing frozen bubbles. The decaying plants in the bed of the lake release methane gas; which gets trapped in bubble form as the lake begins to freeze. As a matter of fact, this provides a spectacular scenery. There is something more—due to trapped methane, these bubbles are flammable! 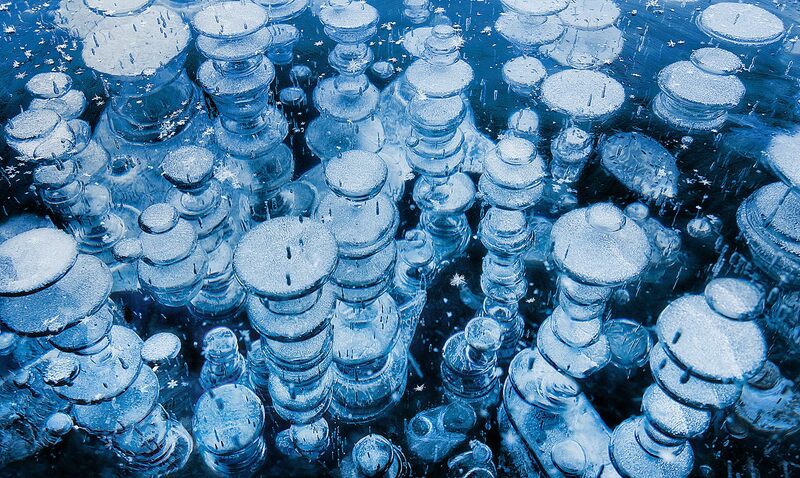 Hence, frozen bubbles are definitely one of the most amazing natural phenomena! You might have heard them as ‘polar lights’ or more commonly ‘northern lights’. 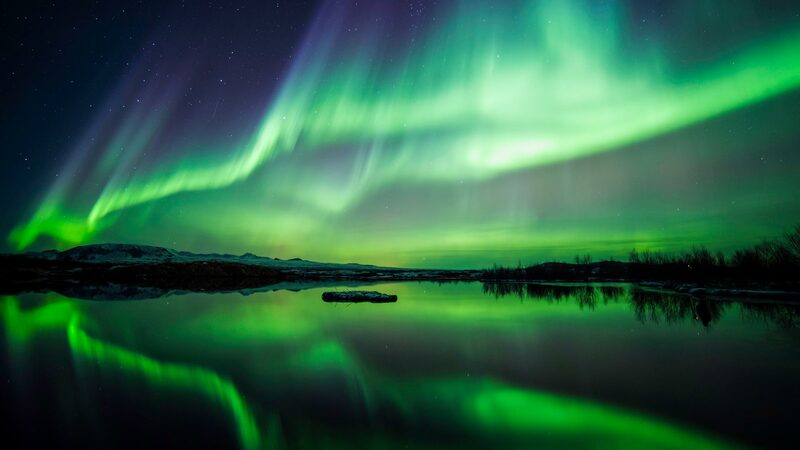 Interestingly, formed due to the interaction of charged particles in the magnetosphere and the solar winds, these lights appear in the sky during the night in high latitude regions namely Arctic and Antarctica. In fact, the light patterns are just amazing and a lot of people are the chilling weather to capture these wonderful lights in the northern polar regions. In fact, they appear in Antarctica also but the areas aren’t accessible).